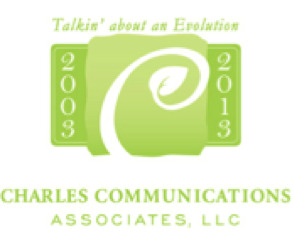 San Francisco, CA - As Charles Communications Associates (CCA) continues its yearlong celebration of its 10thyear anniversary, we are proud to share our client roster and a promotion announcement for the summer of 2013. 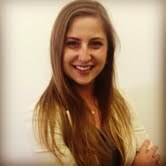 CCA is also pleased to announce that Skye Morgan has been promoted to Senior Account Manager. Morgan joined the company in the summer of 2011 and this is her second promotion. She brings energy, enthusiasm and great skills to her role and continues to lead accounts with creativity and results. “It’s wonderful to have a team member such as Skye grow and thrive at CCA, she cares about our clients as if they were her own business, and what more could anyone ask for in business?” stated founder, Kimberly Noelle Charles. Please feel free to reach out to the CCA team as a resource for any needs by contactingpress@charlescomm.com or 415|701-9463. For further information and background, visit CCA’s website at www.charlescomm.com. Stay tuned for CCA’s new website, coming early Fall 2013. Founded in 2003, Charles Communications Associates, LLC (CCA) is an independent creative marketing communications and public relations firm based in San Francisco, California, that helps local and global companies create, build and launch brands. Recognized as one of the most effective PR firms in the wine industry, CCA is also known for success in the gourmet, natural and organic food and beverage categories, as well as for top shelf spirits and luxury products marketing. In 2013, CCA formed a strategic alliance with Cornerstone Communications Ltd in New York City and McCue Marketing Communications in Los Angeles to better provide clients with contacts and a network in two of the most important media markets in the country.